The MU19 WFC of "first time evers"
*Numbers in brackets show the rankings from MU19 WFC 2013. ^Norway are relegated to B-division for MU19 WFC 2017. 02.05. 15:45 Semi-final 1: SWE MU19 - SUI MU19 6-7 ps. 03.05. 12:00 Bronze game: CZE MU19 - SWE MU19 7-6 ot. *Numbers in brackets show the rankings from MU19 WFC 2013. ^Denmark are promoted to A-division for MU19 WFC 2017. 02.05. 12:59 Semi-final 1: DEN MU19 - EST MU19 8-7 ot. 03.05. 10:31 Final: GER MU19 - DEN MU19 3-4 ot. A-Division: Every team plays each other once within their group. The top two teams after the group stage proceed to the semi-finals, while the other four teams have placement matches. The 8th placed team in A-division will be relegated to B-division for 2017. B-Division: Every team plays each other once within their group. The top two teams after the group stage proceed to the semi-finals, while the other four teams have placement matches. The winner of B-division will be promoted to A-division for 2017.
a) The total number of points. b) If two or more teams have the same number of points the internal matches of the teams concerned, the internal goal difference included if necessary, shall be decisive. c) If the internal matches according to b) are not decisive, most scored goals internally shall be decisive. d) If the ranking cannot be decided by the internal matches, the total goal difference of the teams concerned shall be decisive. e) If the total goal difference is not decisive most scored goals of the teams concerned shall be decisive. f) If most scored goals are not decisive a drawing of lot with the teams concerned shall settle the ranking unless the ranking concerns only the two teams playing a last round match deciding about promotion or relegation when extra time and, if needed, penalty shots shall decide the ranking. 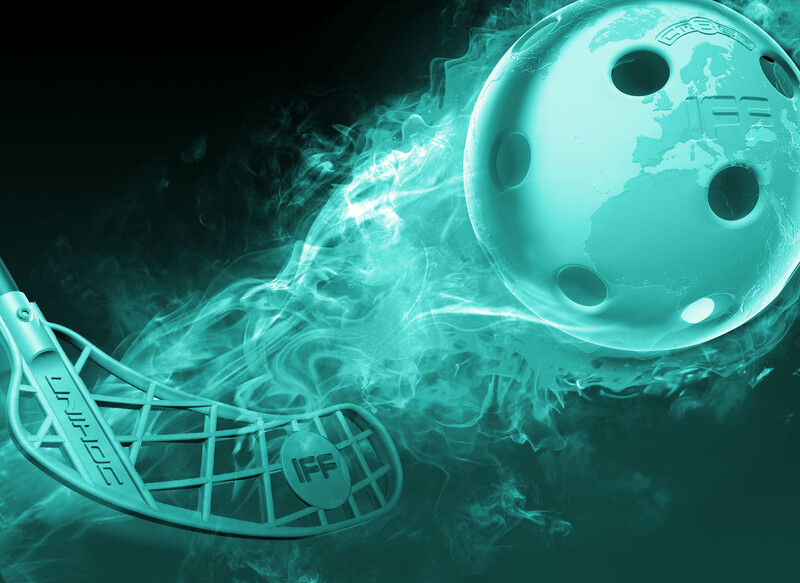 A total of 26 teams registered for the 8th Men´s U19 World Floorball Championships, including Belarus, New Zealand, Ukraine & USA who were all competing for the first time in this category. The Final Round is made of up 8 teams in A-division & 8 teams in B-division. All A-division teams, as well as two B-division teams have direclty qualified, based on results from the Men´s U19 WFC 2013. The remaining 6 spots in the B-division were determined via regional quota systems and qualification events (see below).